Ad industry veteran and Founder/CEO of Storybook Subhash Pinnapolawas elected as a jury member for Asia Pacific’s most inspiring creative festival, Spikes Asia 2018. Along with other panel members from 18 countries across the region, Subhash lauds brave and culture-defining work in creative communications at the festival, which takes place in Singapore this year. This is the second time that Subhashwas appointed as a jury member at Spikes Asia. He is alsothe first Sri Lankan to have represented the country in this capacity at the event during his initial stint. Spikes Asia 2018, brings together Asia Pacific’s advertising community for a spectacular three day celebration of creativity in communications. The event will see some of the best work from the region come before the panel of judges of which Subhash is a member, along with other titans of creative communications from around the world. The festival features forward-thinking seminars by the industry’s most influential figures, opportune networking events, training sessions and exhibitions of the region’s best creative work. Subhash’s scope ofjudging at Spikes Asia 2018 falls under the categories of Brand Experience and Activation and Direct Jury; and Glass: Award for Change Jury where entries are scrutinised for demonstrating ideas intended to change the world through work which sets out to positively impact ingrained gender inequality, imbalance or injustice by addressing issues of gender inequality or prejudice through conscious representation of gender in advertising. 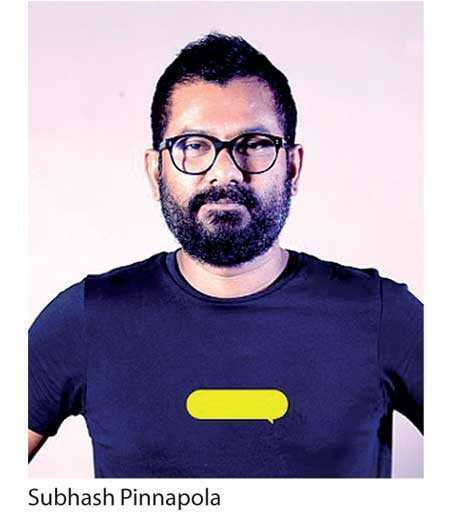 During his career in the advertising field, Subhash has held pivotal roles in numerous leading advertising and networking agencies where he has been consistently awarded and recognised at international ad awardsfestivals such as Cannes, Spikes, Adfest, Appies, Adstars, AME, Epica, Midas, AWARD, Cristal, Sharks, Davey, Crestaand ONE SHOW. Storybook is a first-of-its-kind independent creative agency based in Colombo, Sri Lanka and relies on emotional engagement as its primary approach. The agency specialises in marketing to the intelligent and empowered consumer of today and is passionate about creating powerful stories that connect people with brands.